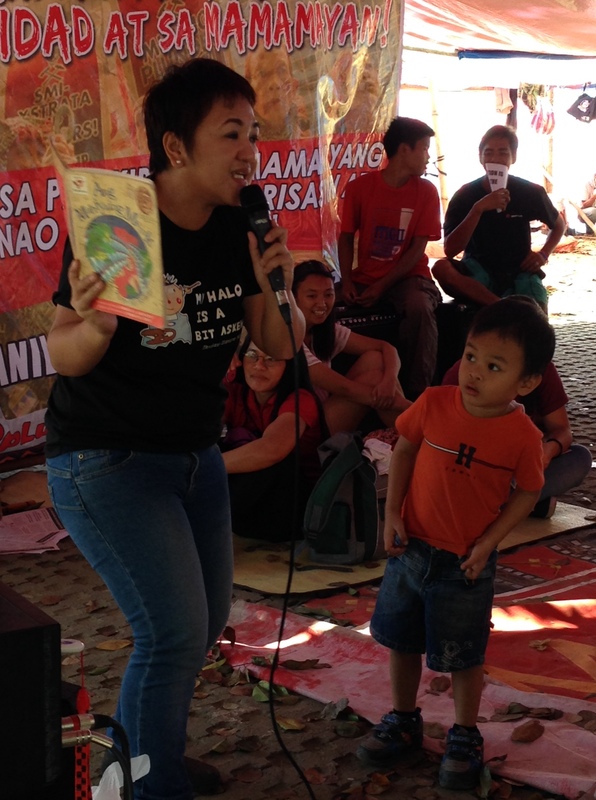 Ever since I attended Kuya Bodjie's workshop last year, I have made storytelling not only as a personal activity with my little boy but an advocacy as well. I still don't have the confidence to do the storytelling myself but I always try to reach out to kindhearted storytellers to share their talent and love for reading. 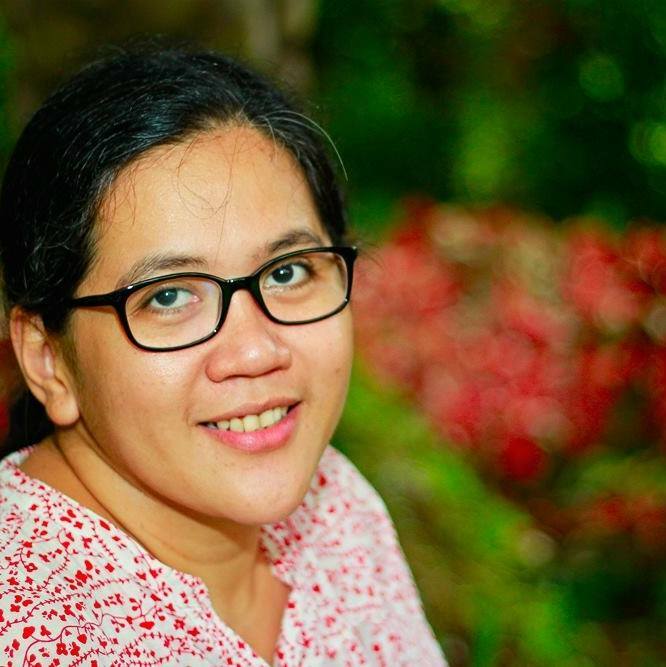 I am so grateful to have met Teacher Dyali Justo, one of the best storytellers I know, in one of the blogger events I attended. She facilitated a storytelling workshop and we both signed up to be volunteers for Alpabasa, a reading advocacy project for public school students. I admire how she engages the children in the stories she shares. She also sticks to the story's exact text while giving enough space for movements, facial expressions and vocal exercises. 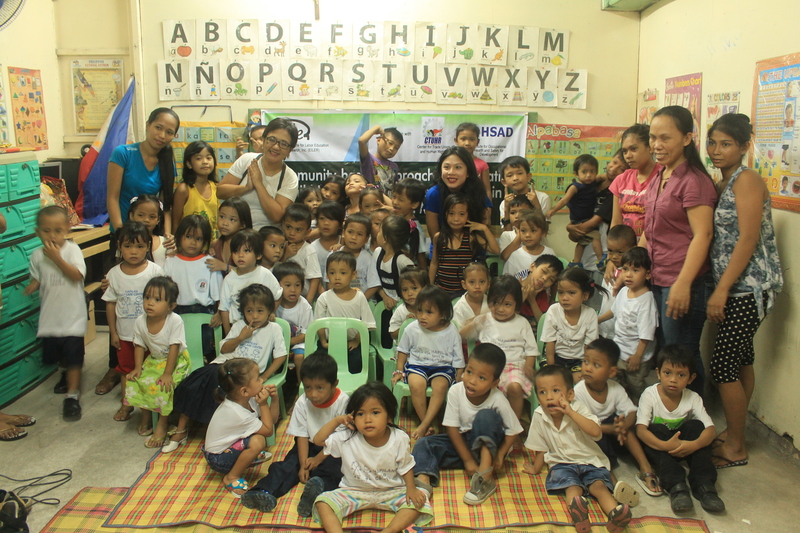 Our students in Hapilan Daycare Center were lucky to have two dedicated storytellers share their talent and passion for reading. 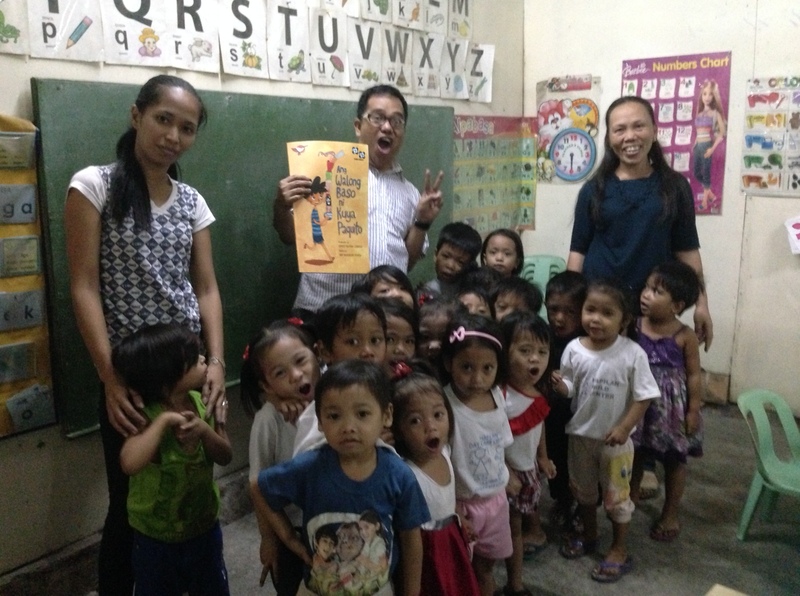 Teacher Dyali told the story of Ang Barumbadong Bus during our celebration of National Children's Month last year while Kuya Jay Menes brought the storybooks we won from Adarna Books' World Read Aloud Day giveaway last March. 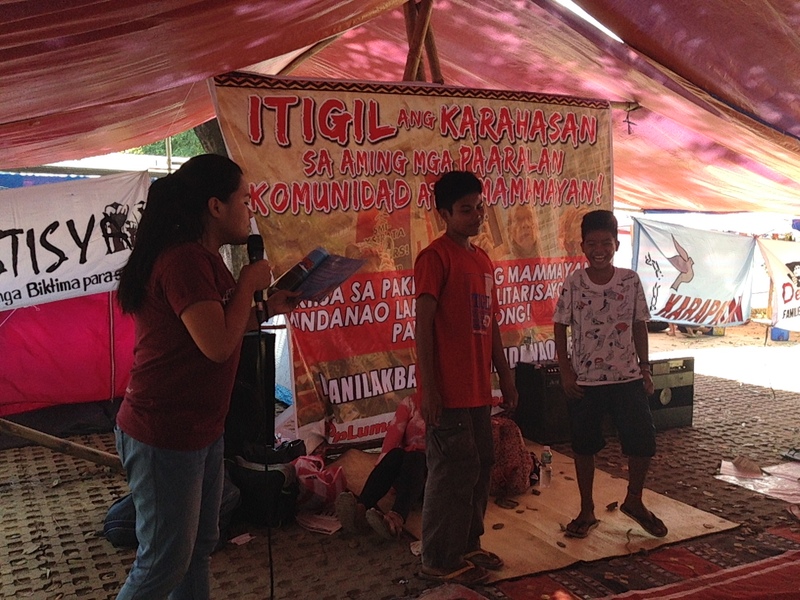 Last Sunday, I was so happy Teacher Dyali accepted our invitation to do a storytelling session with the Lumad children who are staying in Liwasang Bonifacio for Manilakbayan 2015. 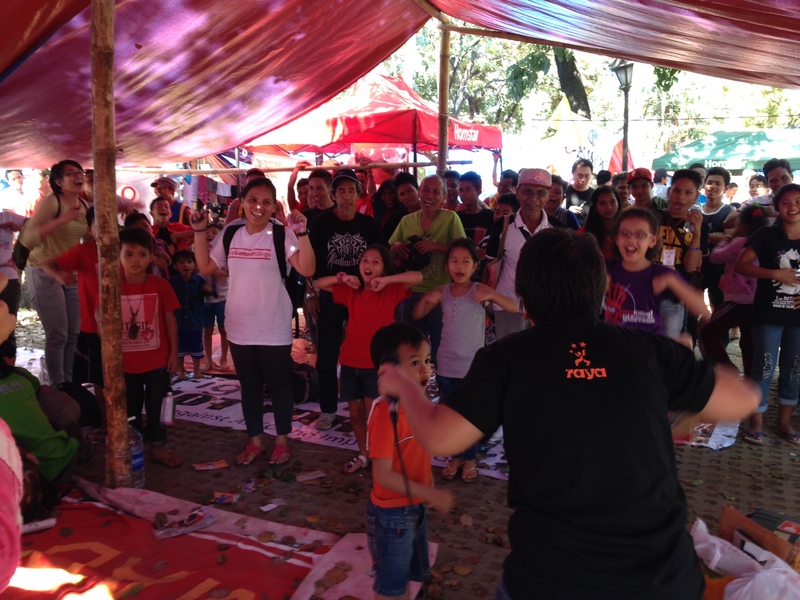 She read When Color Came to Town ( by: Susan Dela Rosa Aragon) and Ang Mahiyaing Manok ( by:Rebecca Anonuevo) to the Lumads and everyone who joined Hustisya's Family Day Celebration in the temporary camp they built in Manila. Teacher Dyali and her daughter Luntian also made the people happier with the free homemade ice cream they brought in the camp. 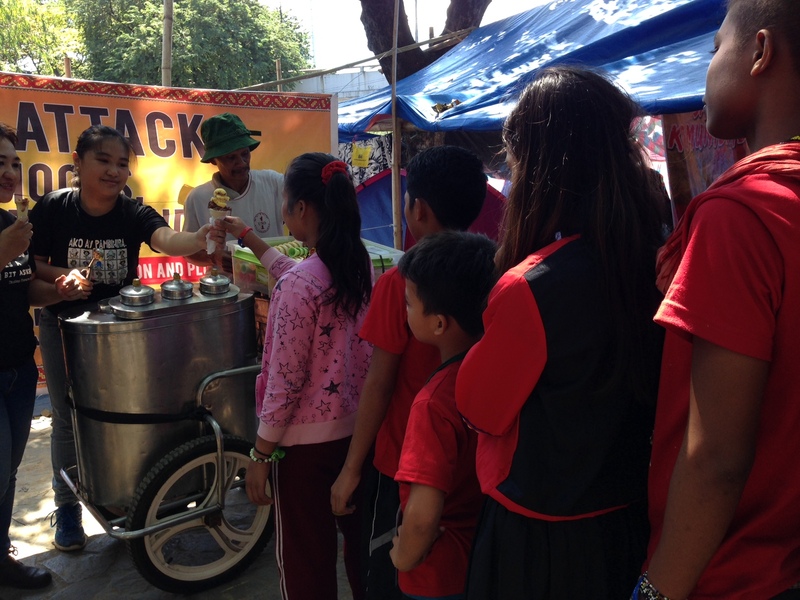 Even the 'not so young' Lumads enjoyed the chocolate and cheese ice cream scoops they had that Sunday morning. Storytelling is a two-way process. It becomes more meaningful when children get engaged in the stories you tell and ask more questions. On the other hand, storytellers become more relevant when they share stories not only to fulfill a job but to make their audience happy. They also allow children (their audience) to actively take part in the storytelling process by giving them a voice and making their stories shine. Happy reading and storytelling to all! I agree. Great storytelling involves imagination which is supported by the use of the senses and environment. I hope more teachers and parents use storytelling to help their children learn and to boost their creativity as well.Great article! Story-telling has been my son's favorite bedtime activity. Now he'd ask some stories even when we're just about to take our two hour siesta! I love reading to my kids too while my husband makes up crazy stories with moral values to our kids. My kids love story-telling before bedtime.. and they want the long stories which makes me sleepy.. nauuna tuloy ako makatulog..Lol! I love to listen to storyteller, you have to have that talent so kids will listen and be attentive. I'm the boring storyteller nevertheless, my kids still loves to listen. 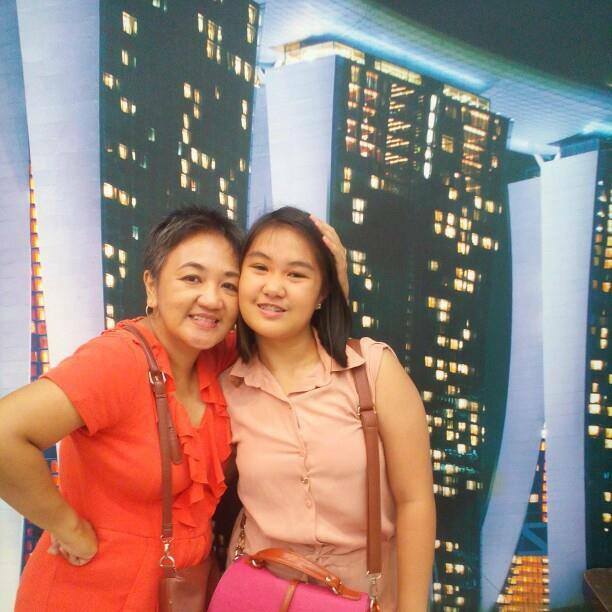 Thanks, Mommy Madz! Storytelling is both fun and challenging. Seeing my son enjoying the stories I read makes me happy. Achieve! And he requests to read the same story every single day! Hahaha. Thanks for reading my post. I love listening to my husband read stories to our son. I secretly wish my son would ask him a lot of "WHY" questions while reading the story.Hahaha! Thanks for dropping by, Kim! When my kids were younger and just starting to read, we do storytelling together, but mostly I encourage them to do the story telling, while I ask questions. It was a good way to developed their imagination and critical thinking. Story telling is a must in every childhood phase... Every responsible parent knows that. Story telling is a must in every childhood phase.. Every responsible parent knows that. Story telling is a regular thing for my son. From the day he was born, we read to him everyday :) Thanks for sharing this!